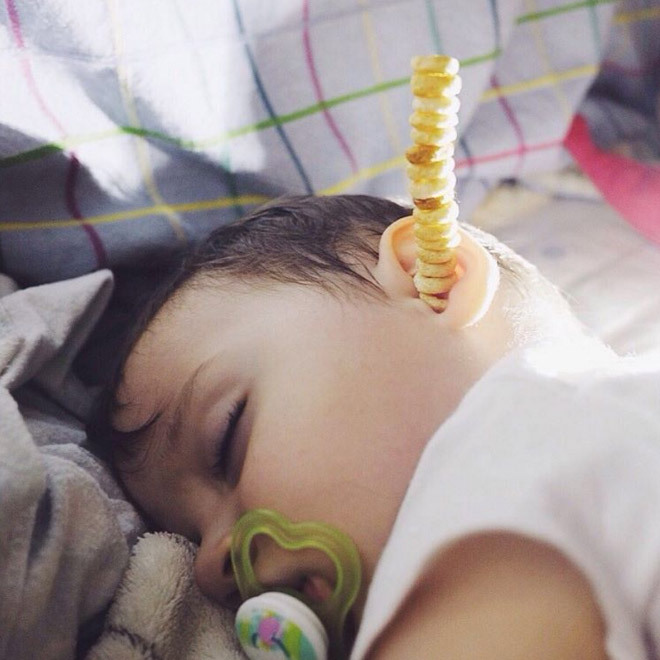 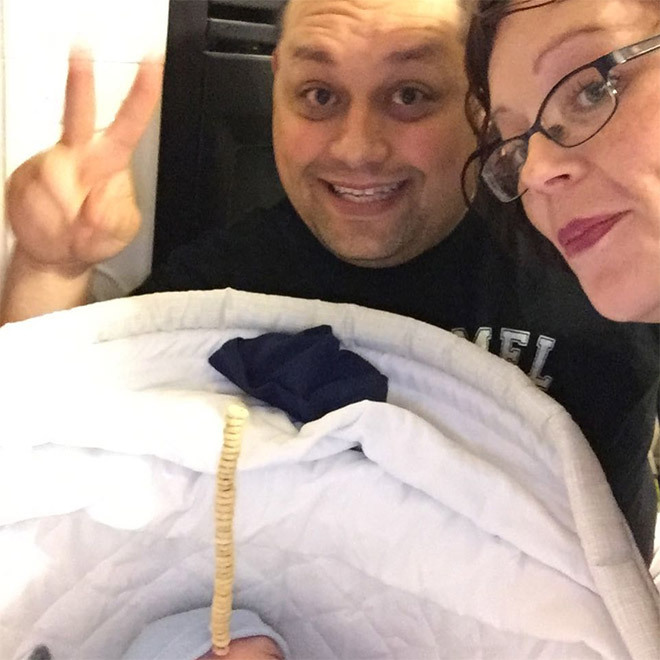 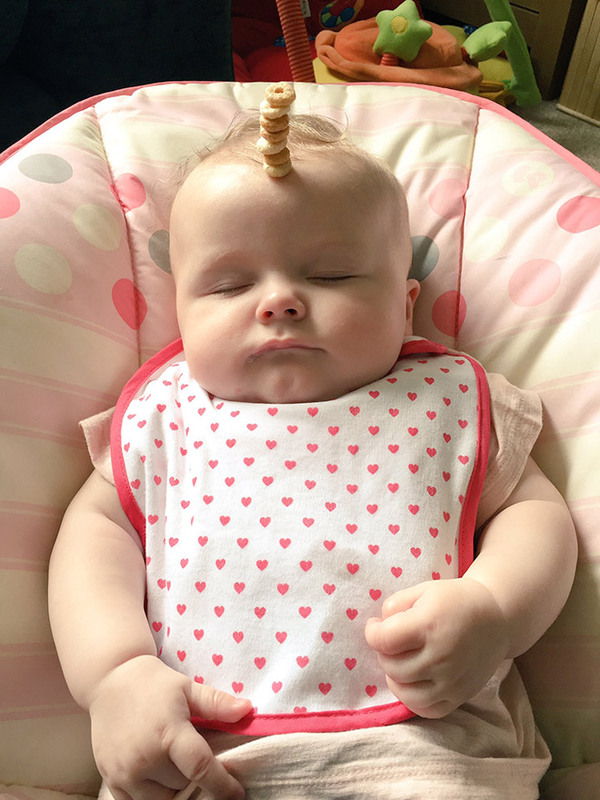 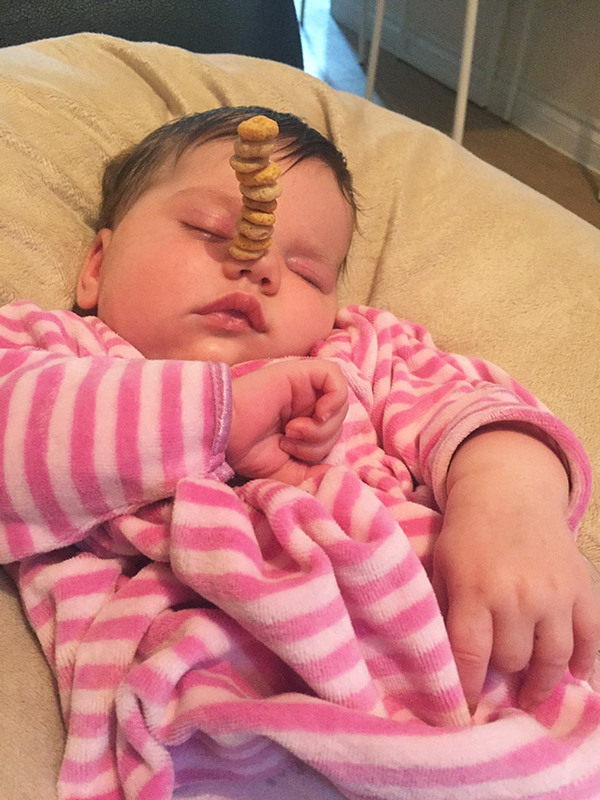 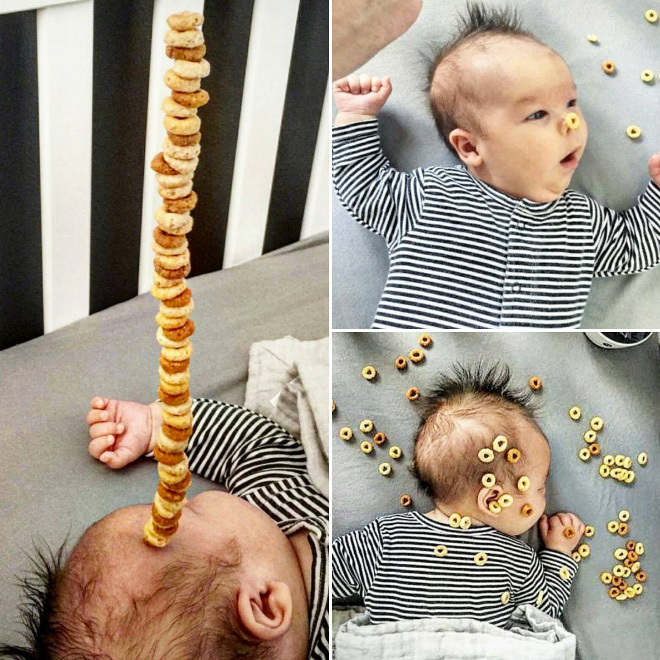 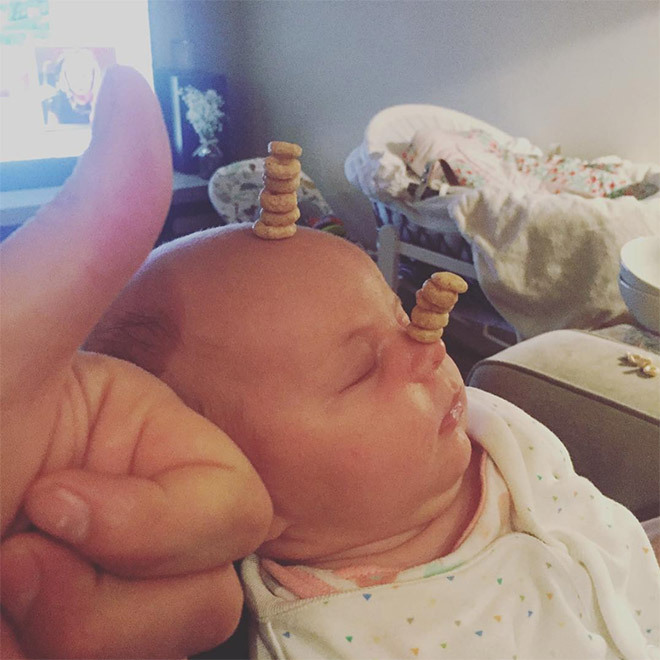 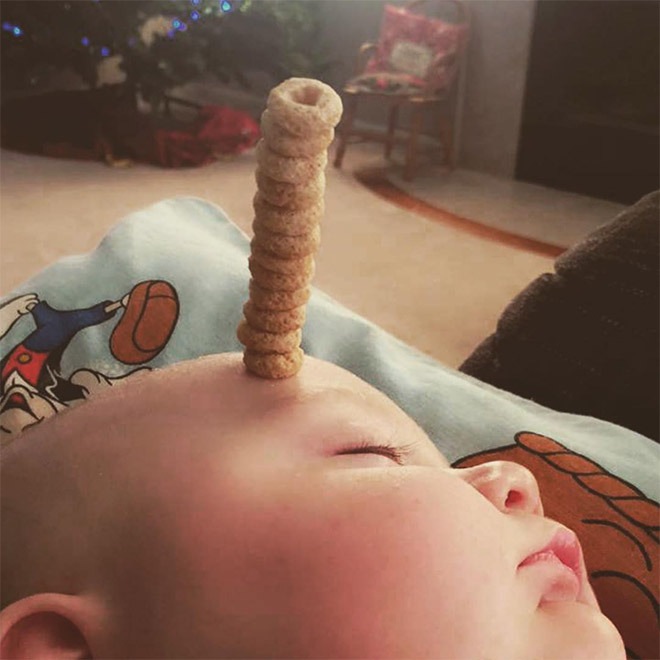 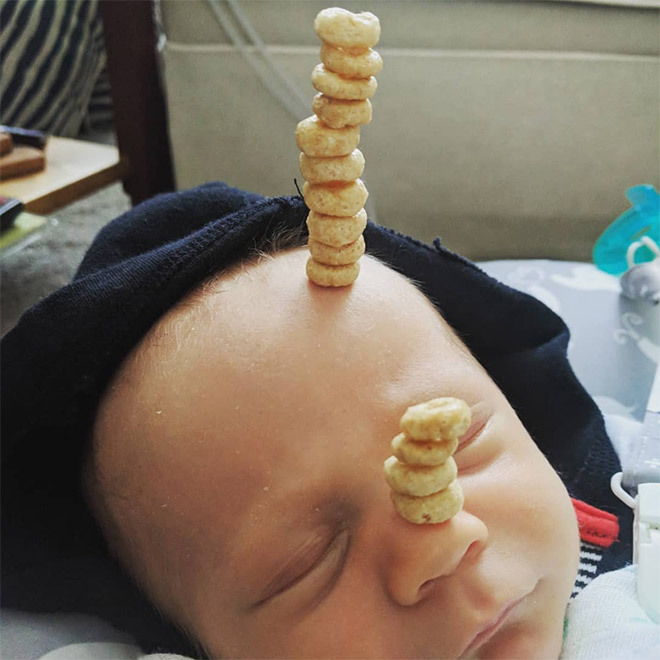 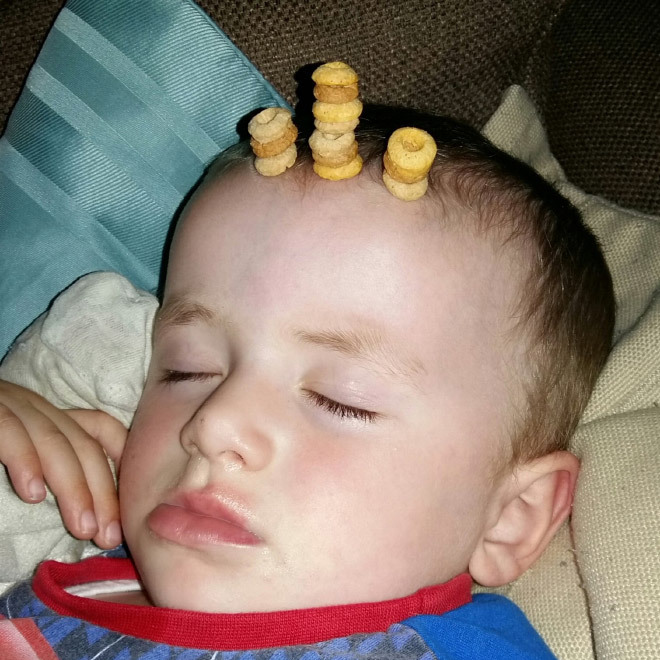 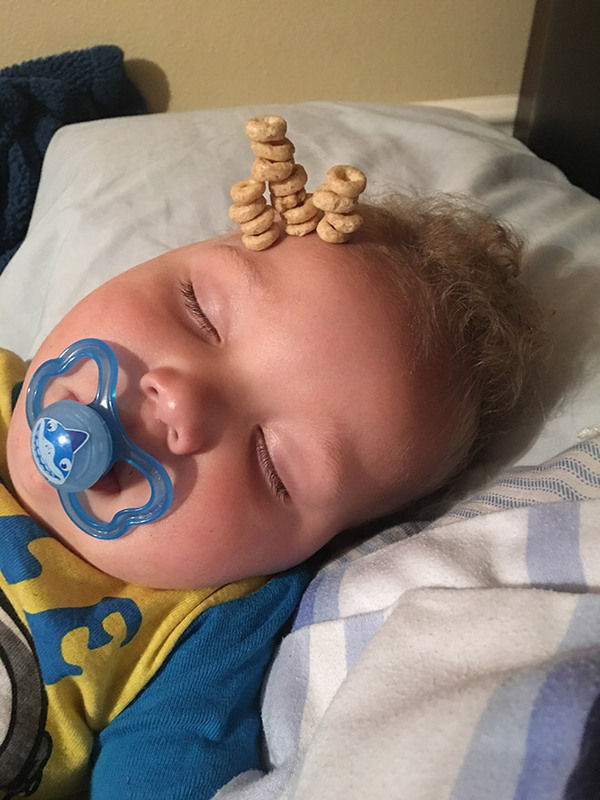 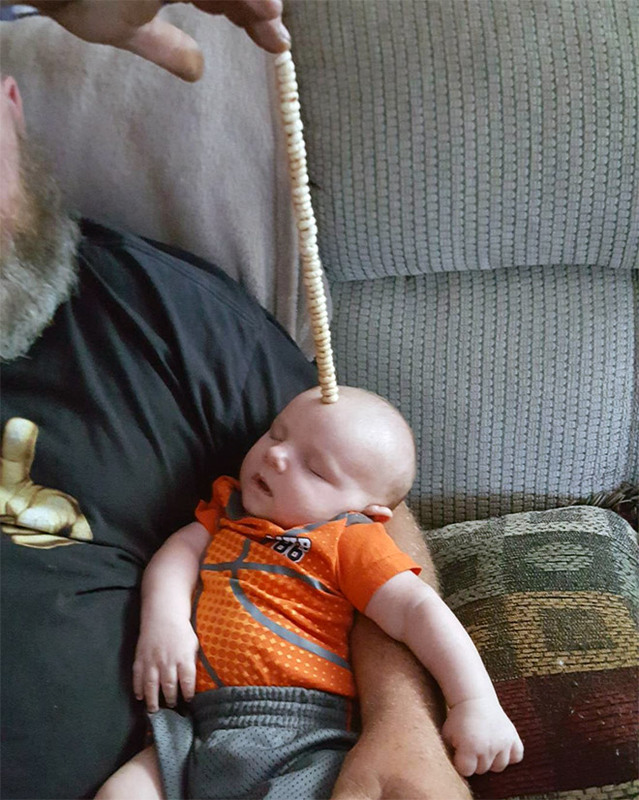 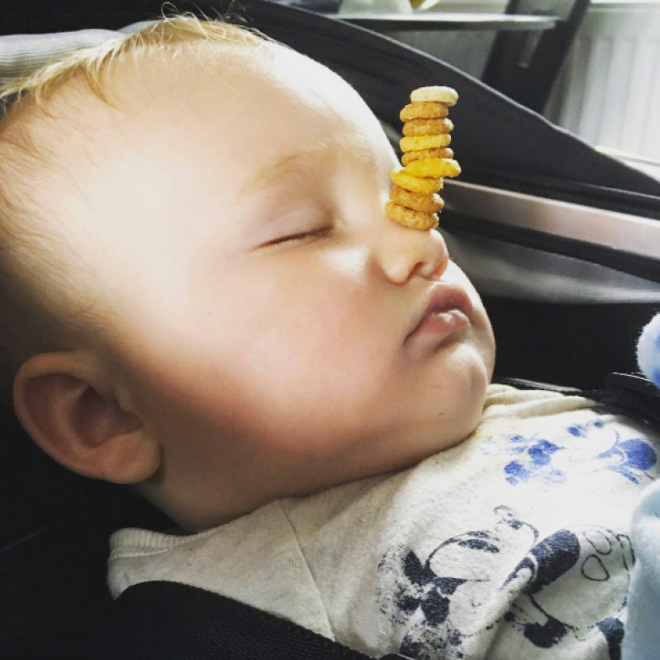 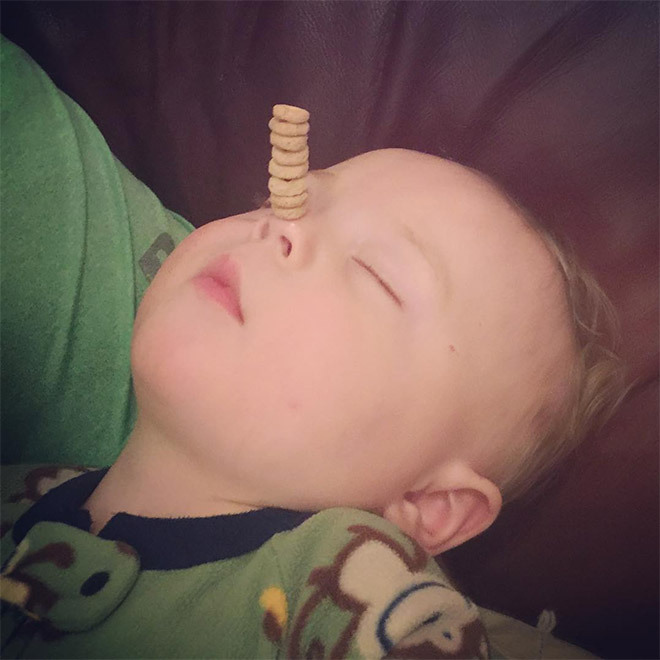 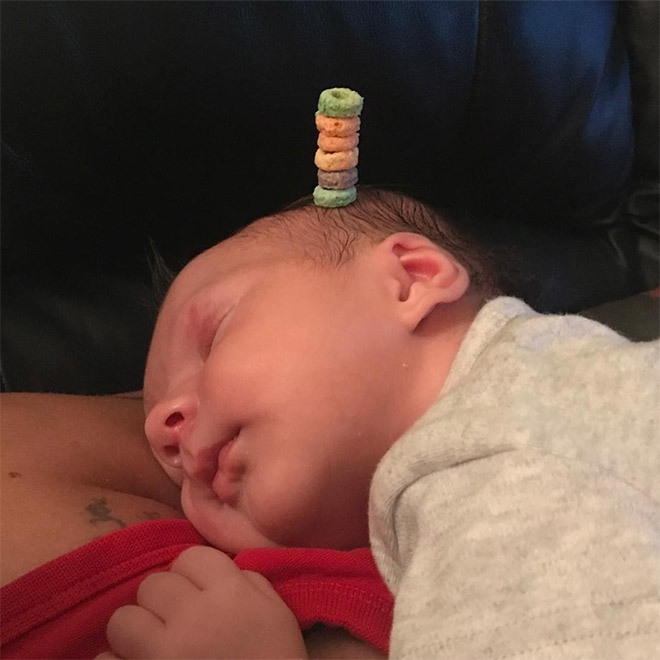 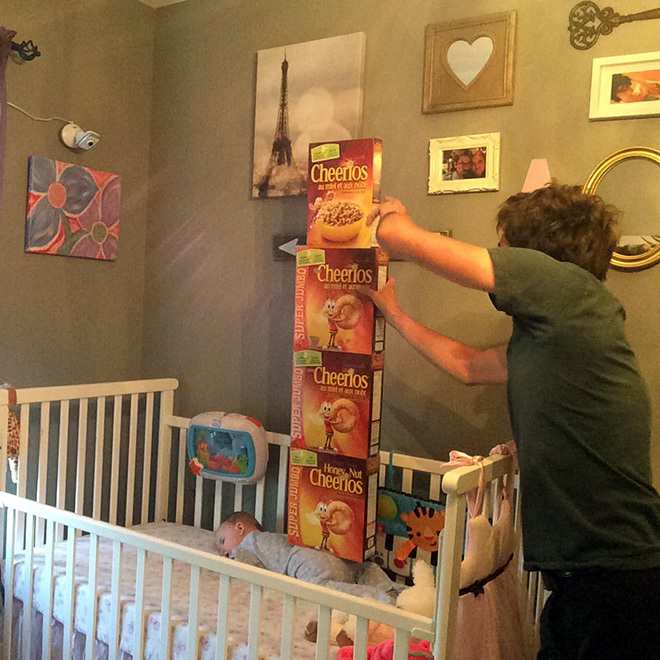 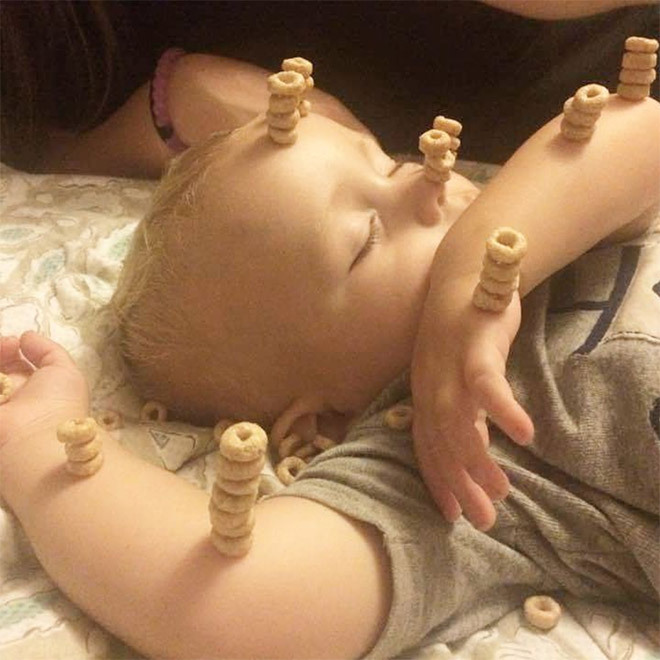 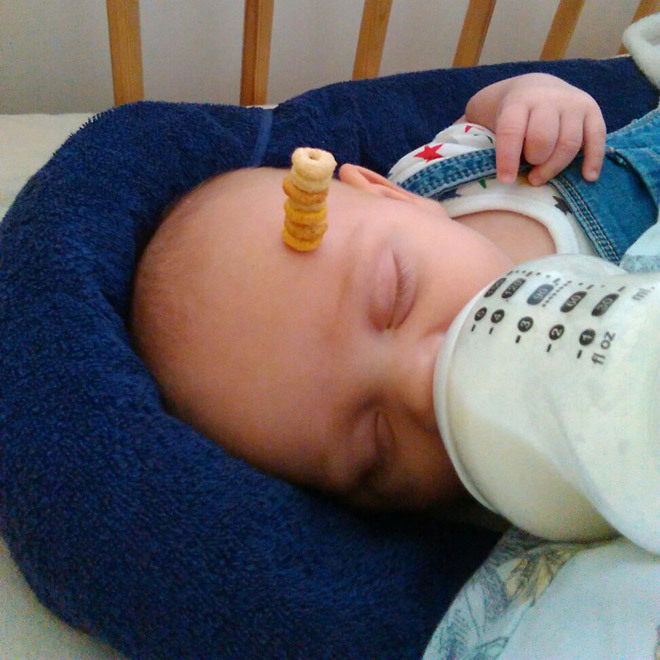 Just few days ago we featured #CheeseChallenge, but did you know that parents all around Instagram are coming together to stack cereal on their babies and calling it #CheerioChallenge? 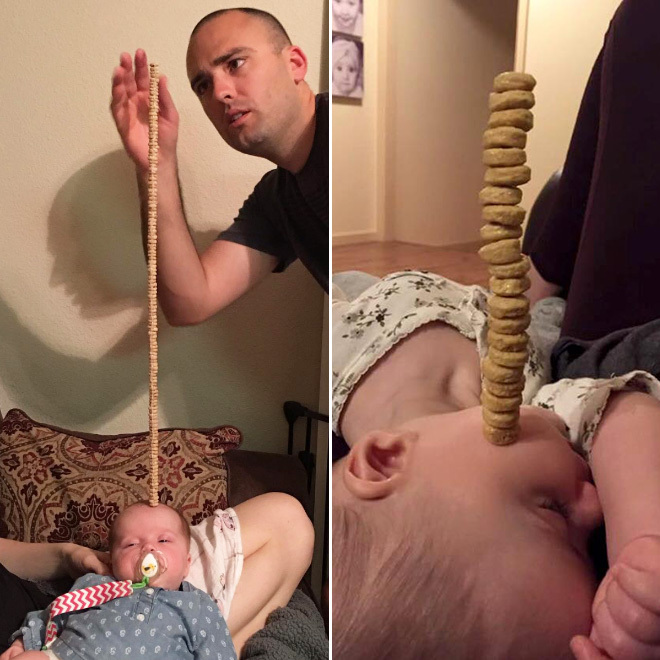 We truly live in a glorious time. 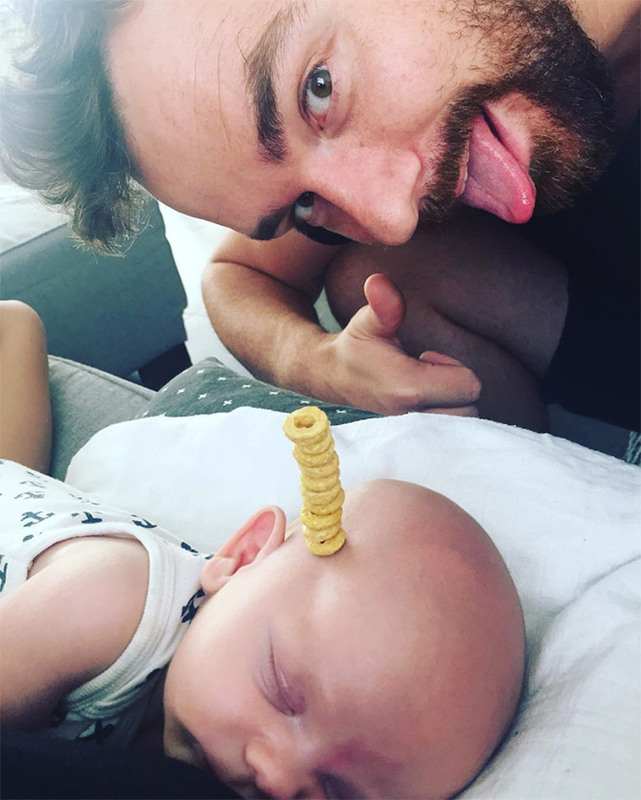 Baby Bowling? 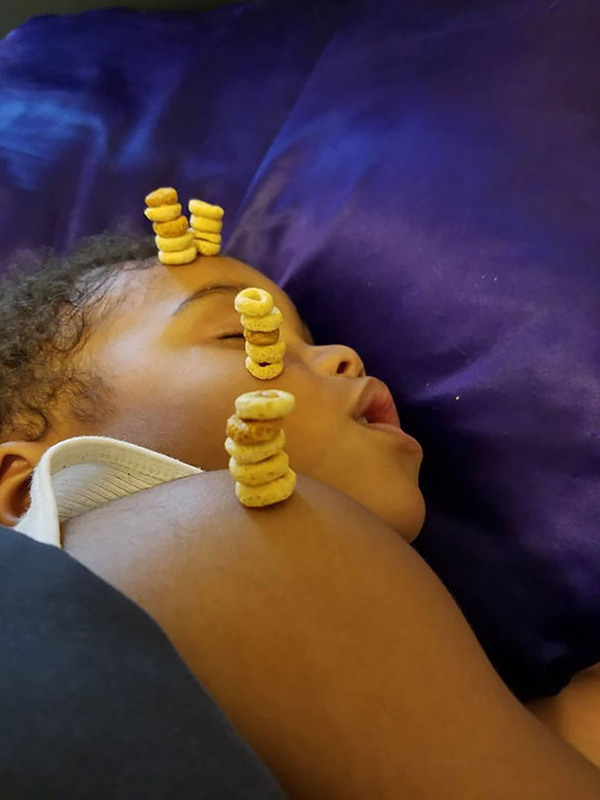 Ten Cheerios and a slice of cheese, I’d bet you would get many strikes.